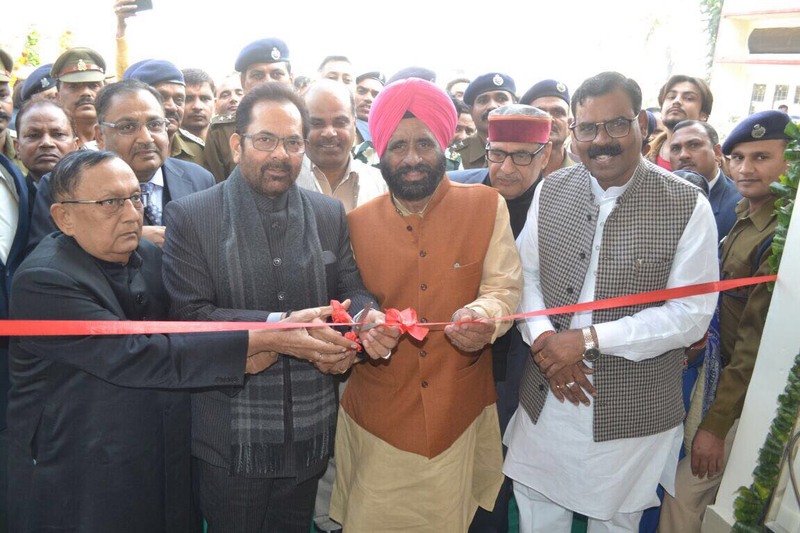 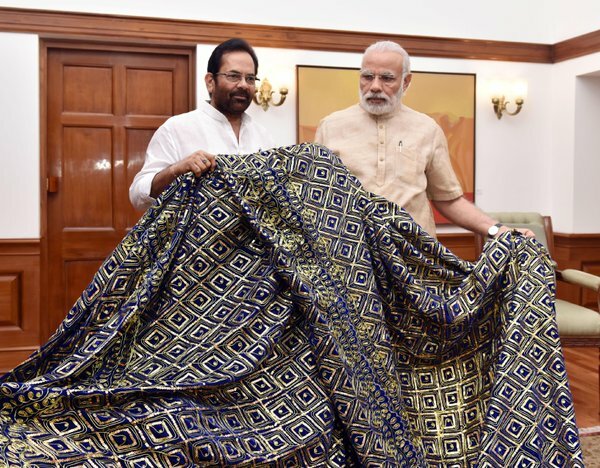 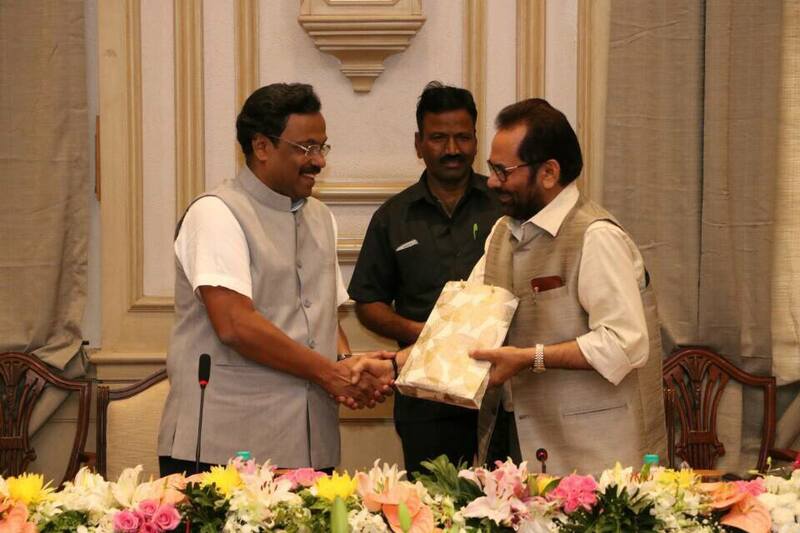 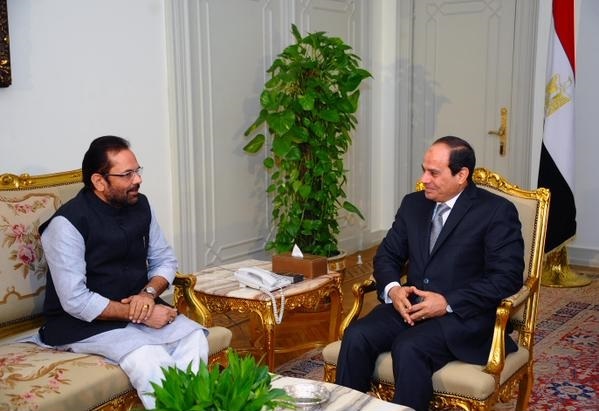 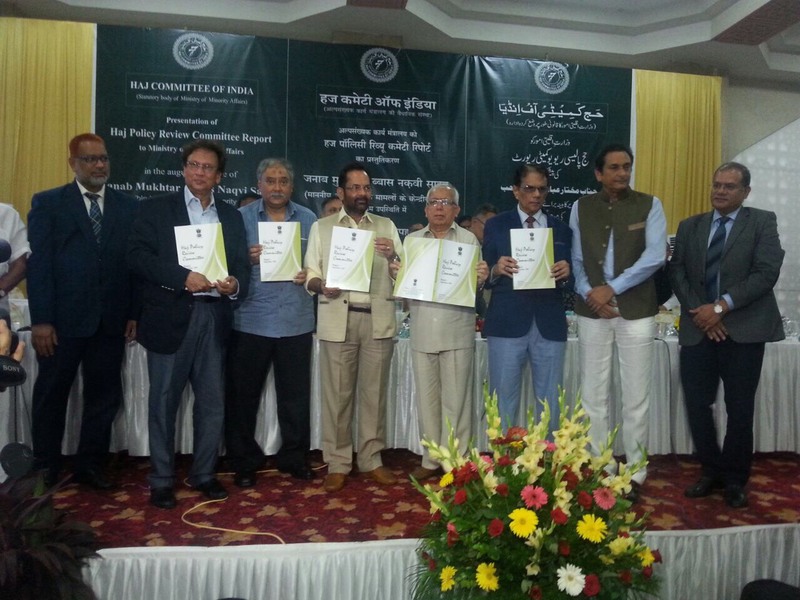 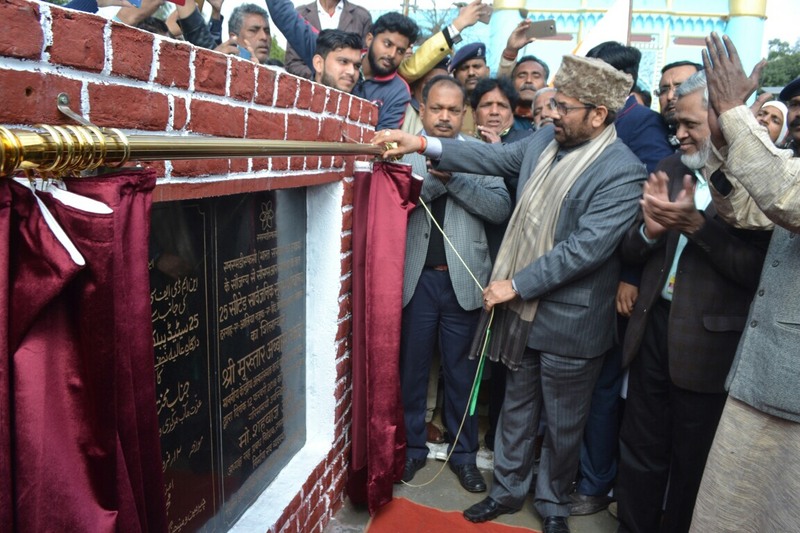 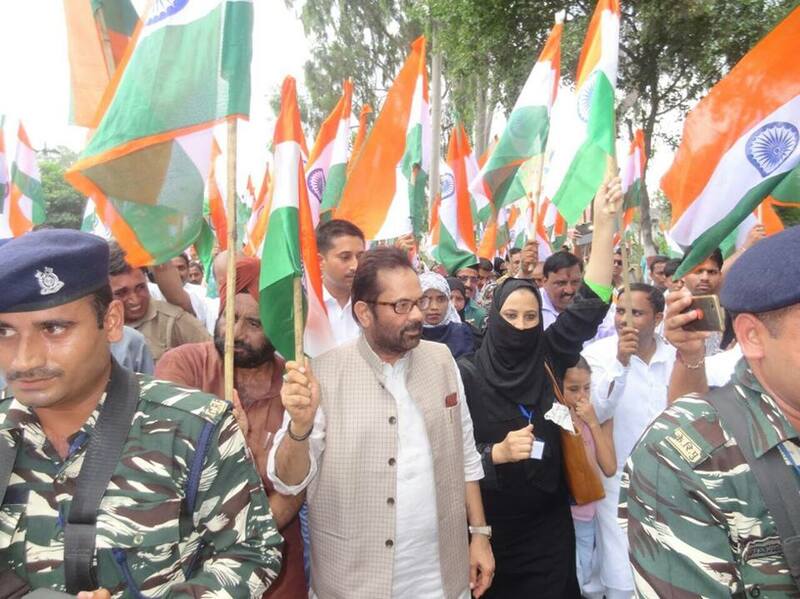 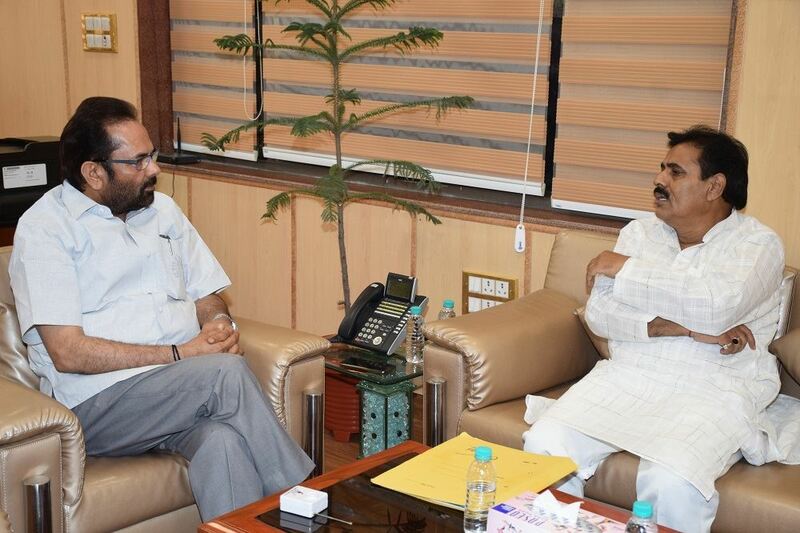 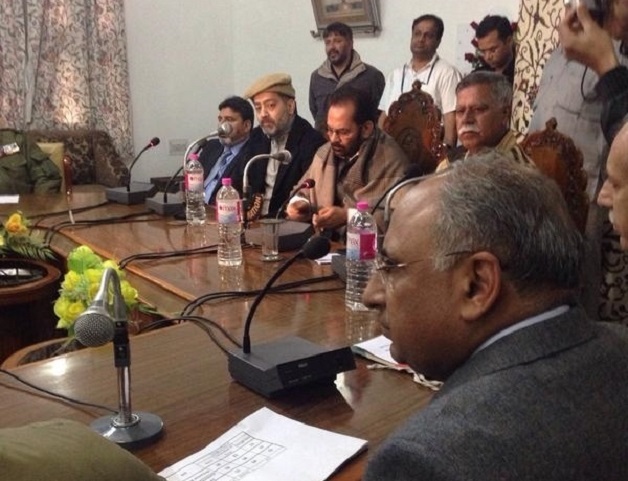 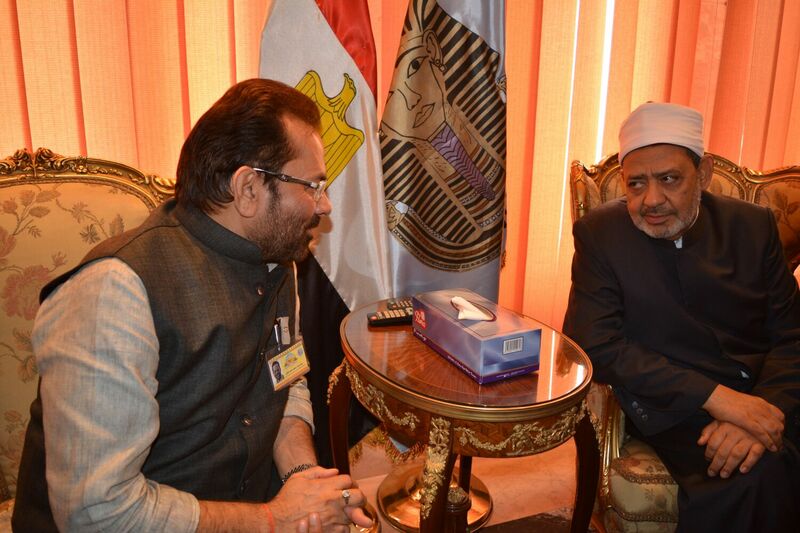 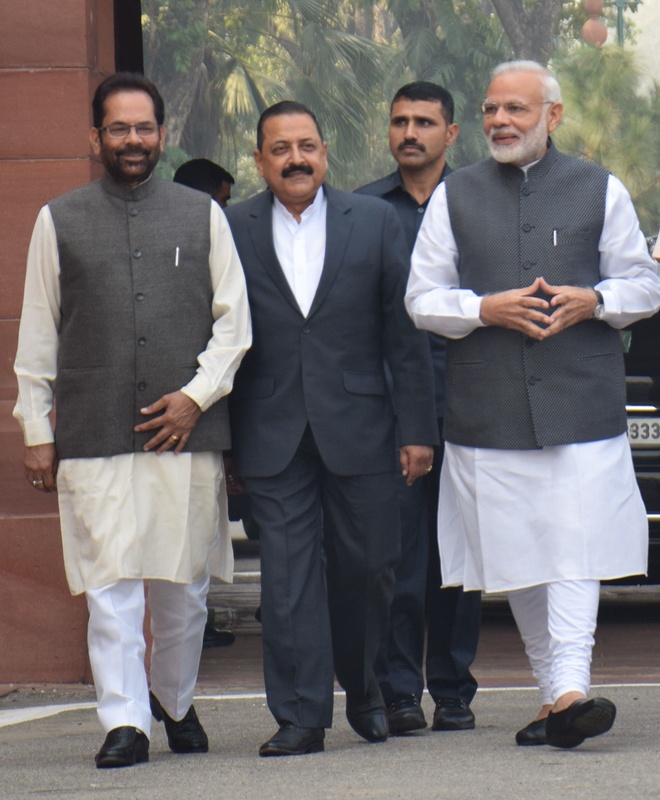 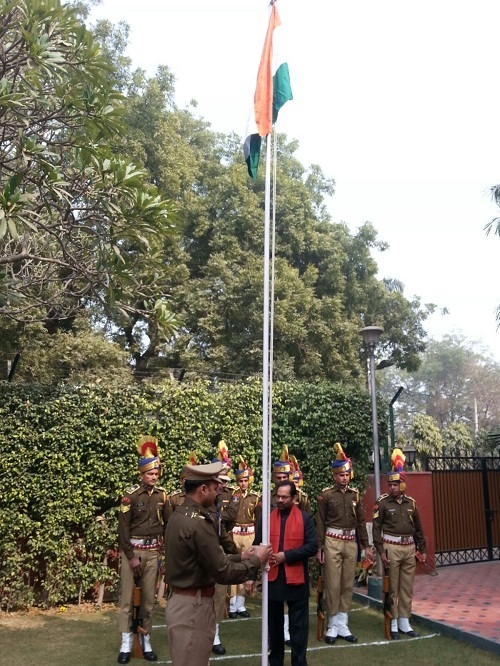 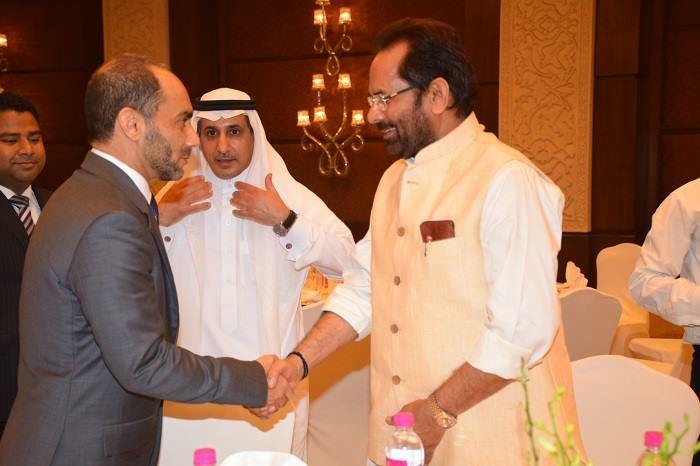 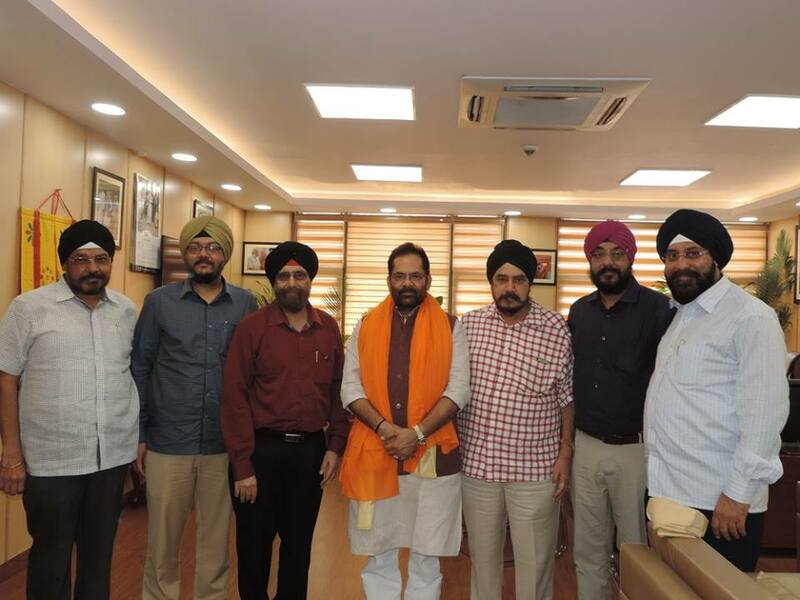 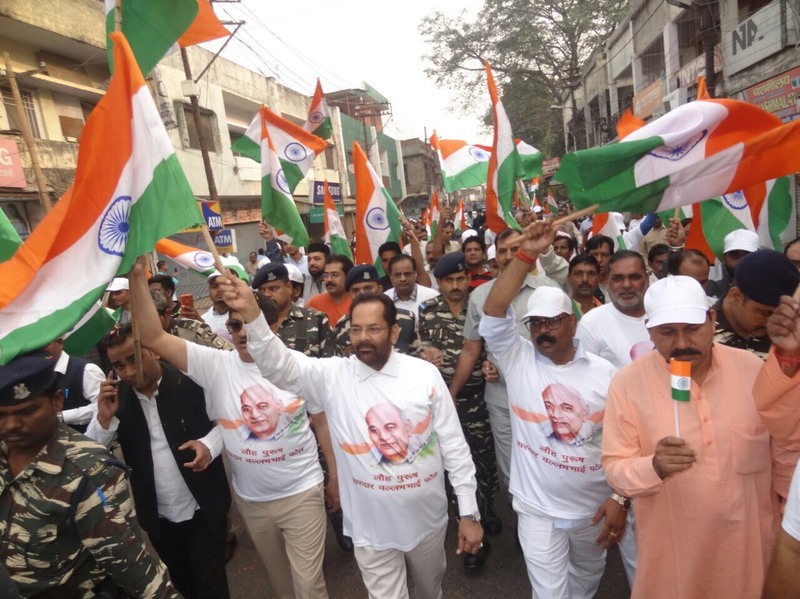 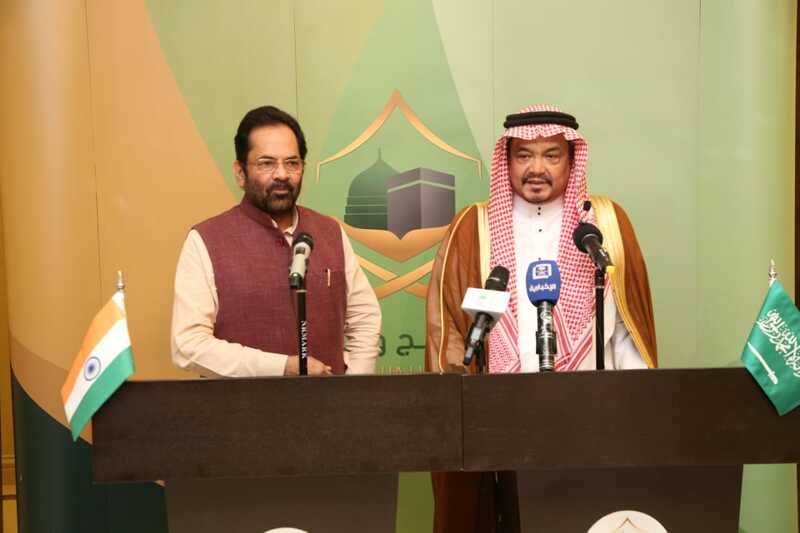 Union Minority Affairs Minister Shri Mukhtar Abbas Naqvi today said here that despite “diversionary tactic” by some political parties and “champions of corruption”, the Centre’s Modi Government is moving forward to make India an economic power of the world. 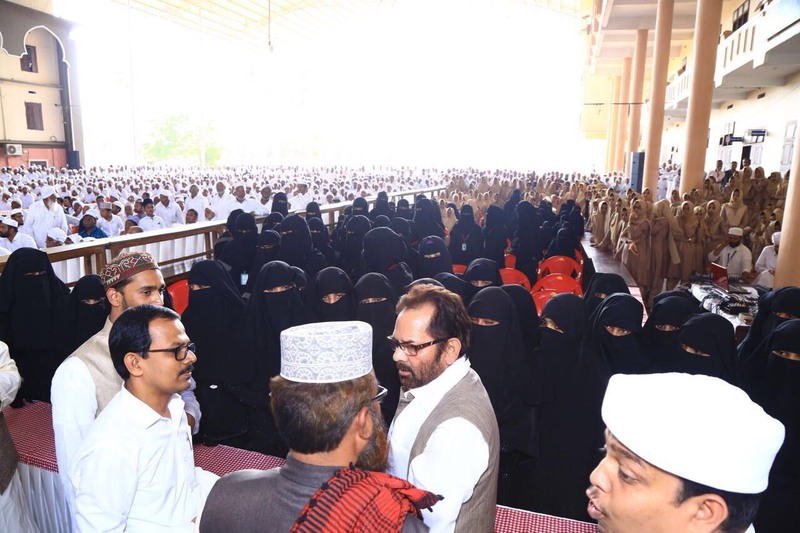 Addressing the common people, traders, industries’ representatives and people from social sector at Kotla Vijaya Bhaskar Reddy Indoor Stadium in Yousufguda in Hyderabad during “Pradhanmantri Mudra Yojna” promotion camp, Shri Naqvi said that under the “Mudra Yojna”, launched on 08th April 2015, the Modi Government has approved about 9.13 crore loans. 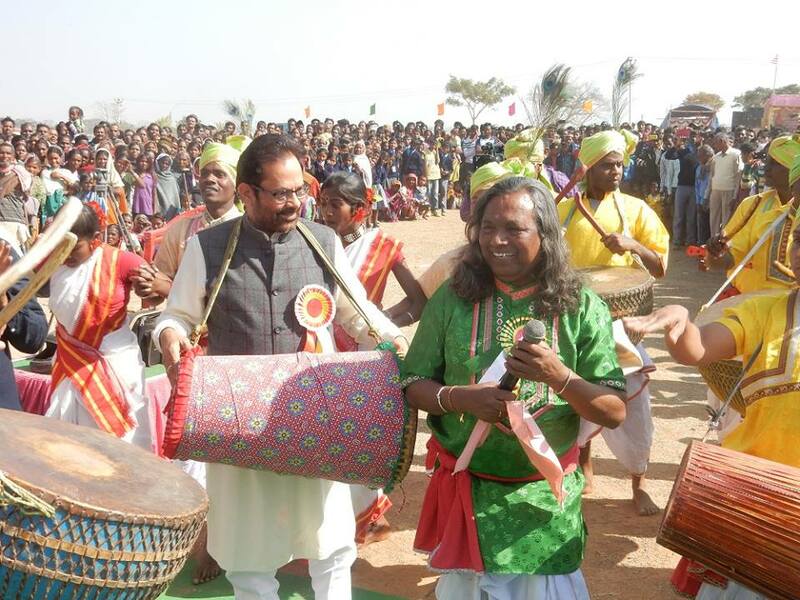 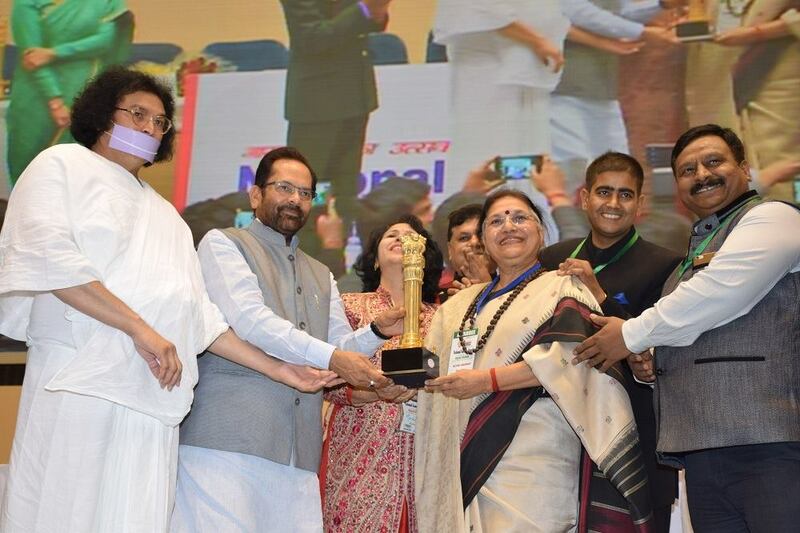 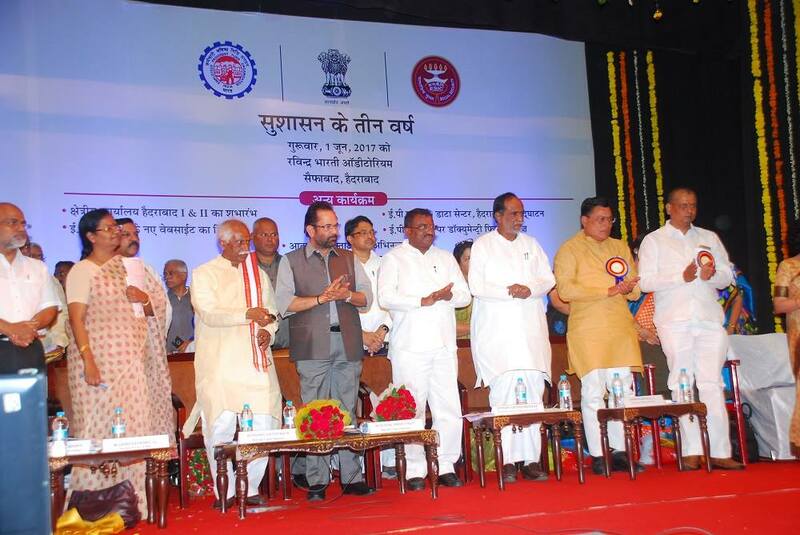 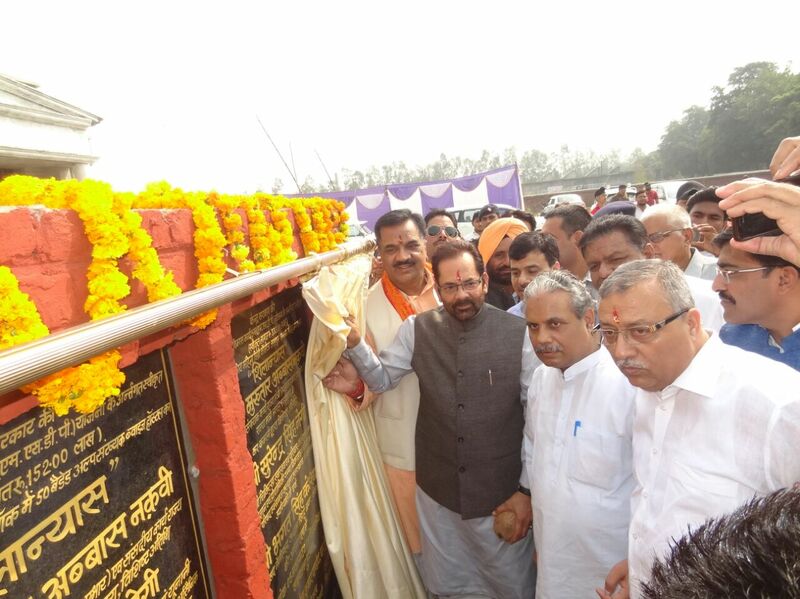 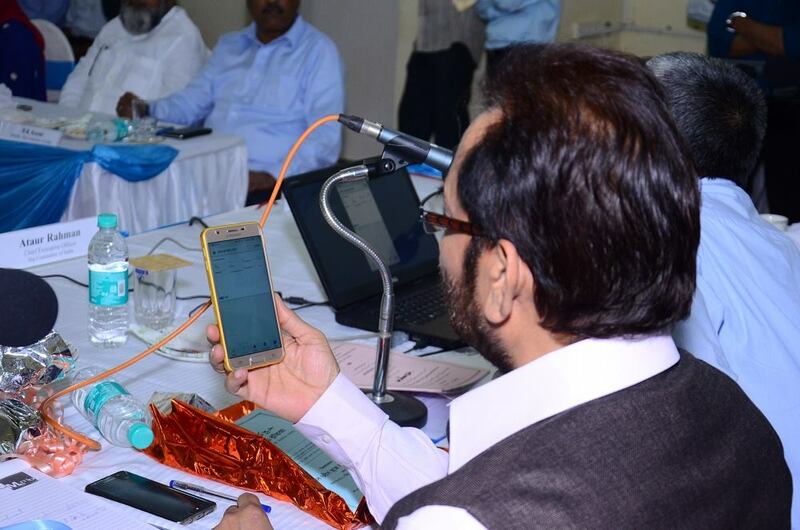 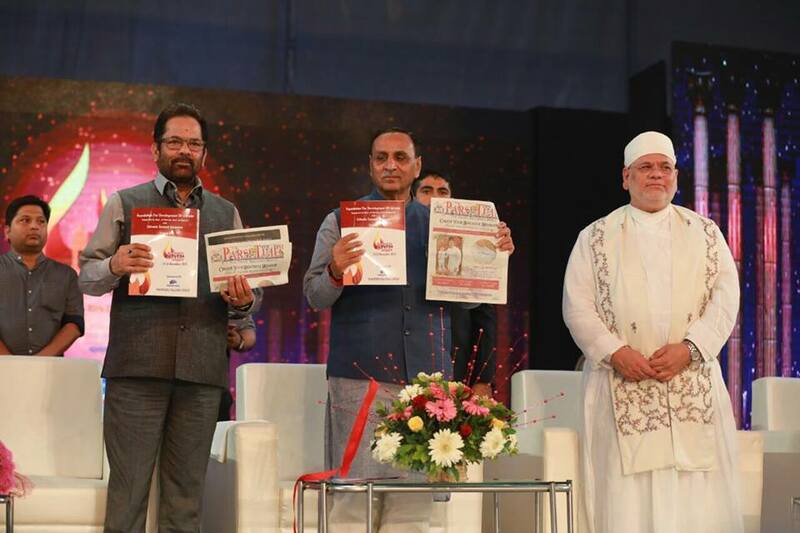 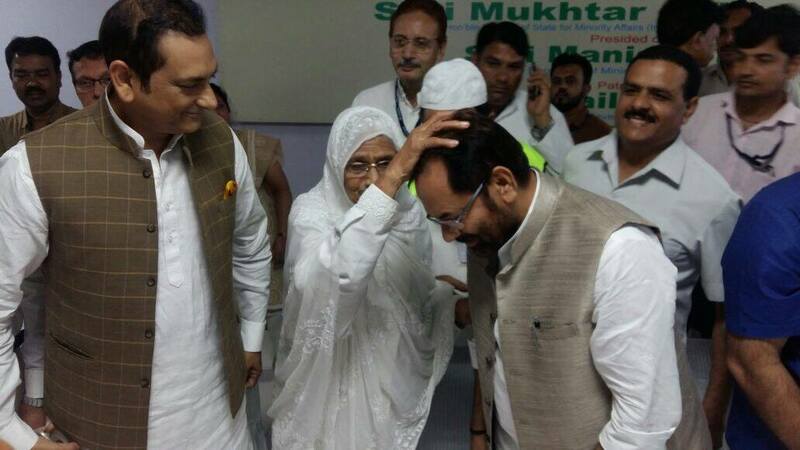 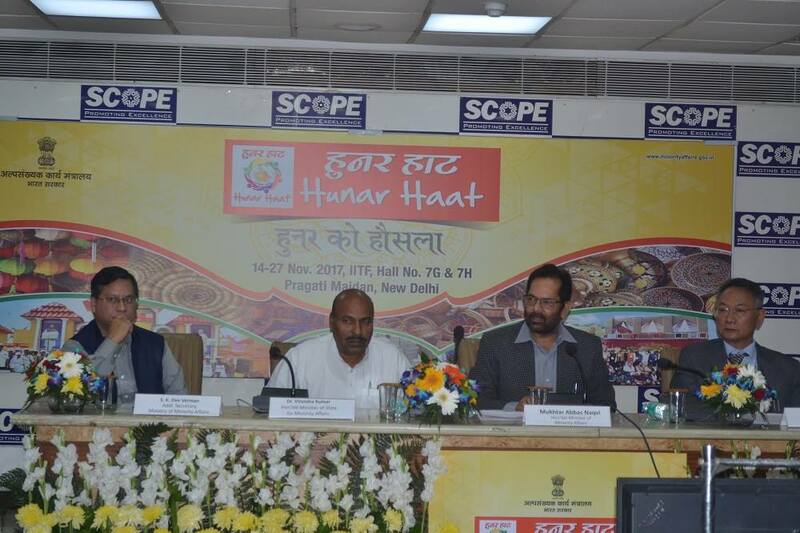 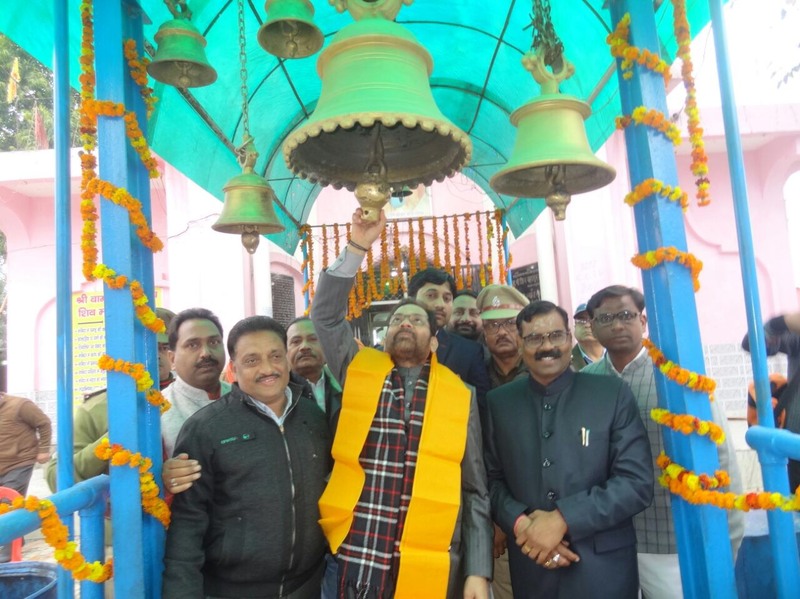 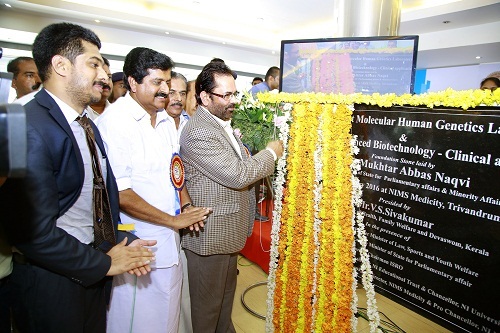 Shri Naqvi said that there are about 76 percent women in these beneficiaries of “Mudra Yojna”. 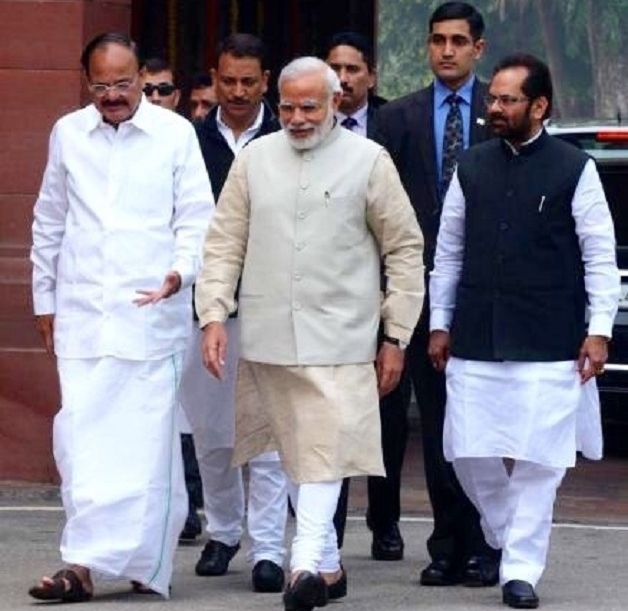 More than 55 percent of the beneficiaries are SC/ST/OBCs and Minorities. 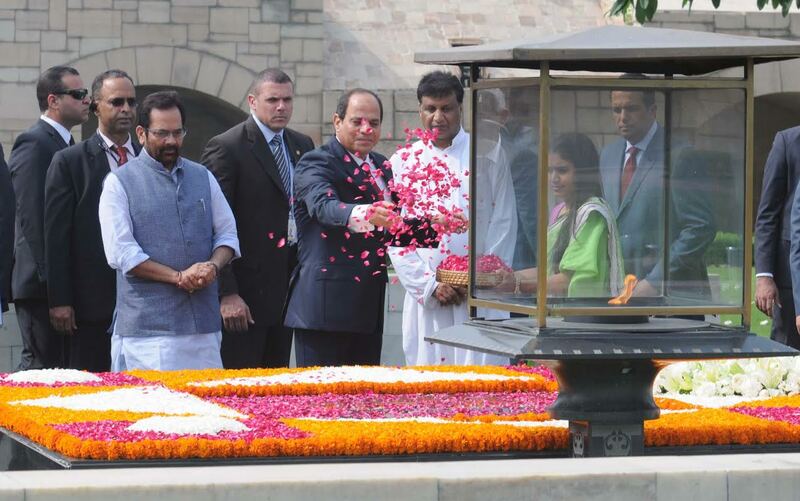 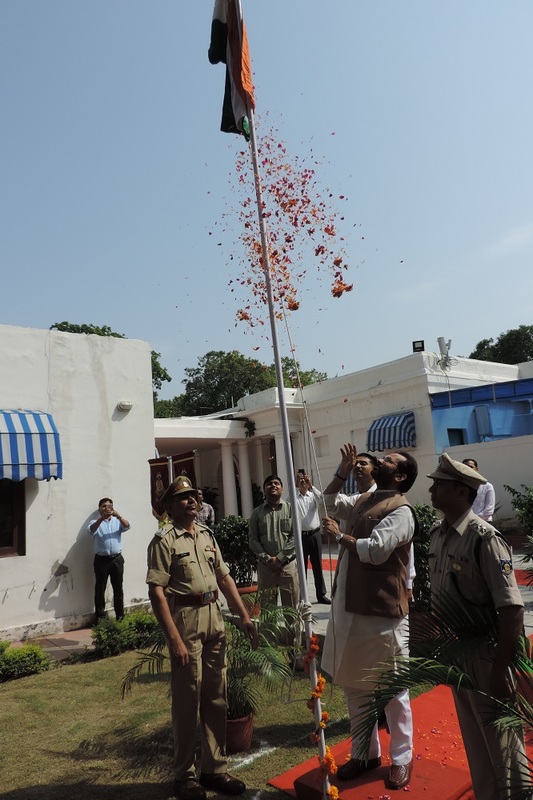 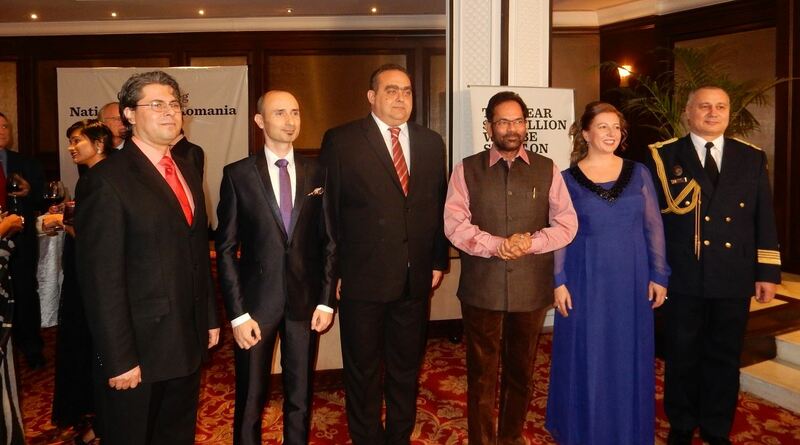 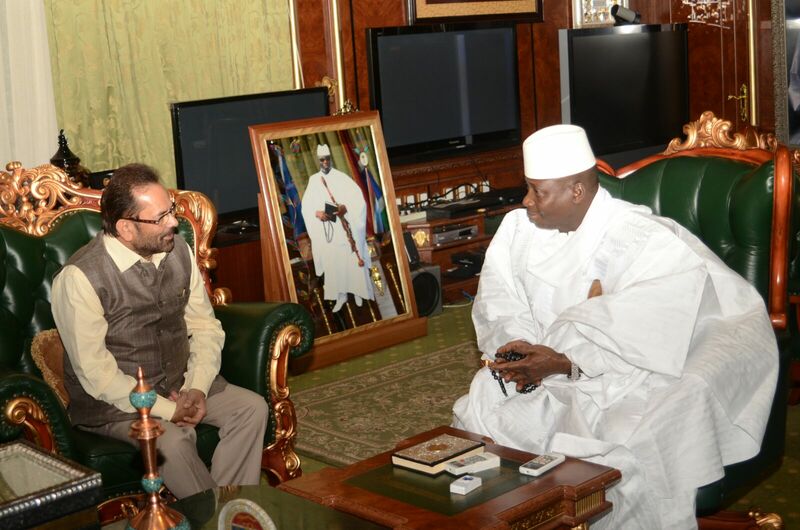 Shri Naqvi said that today each and every country of the world has recognising India as an emerging economic power. 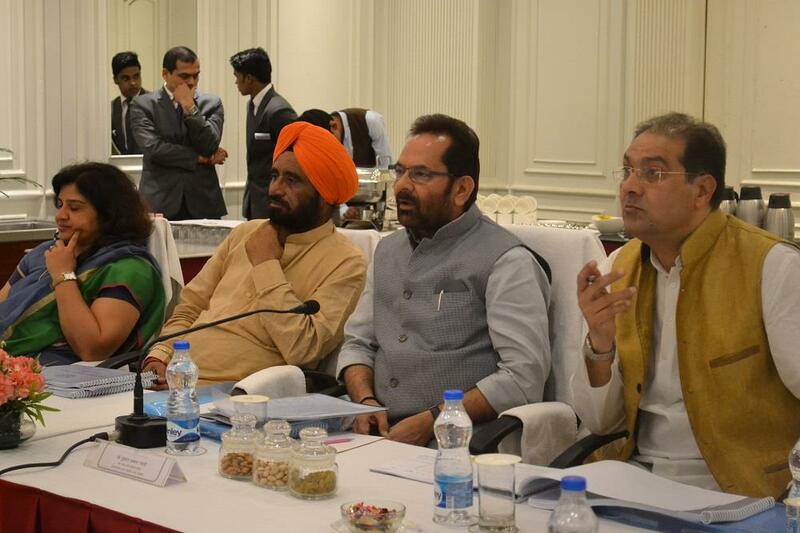 Today, India has become one of the safest and strongest destination for investment. 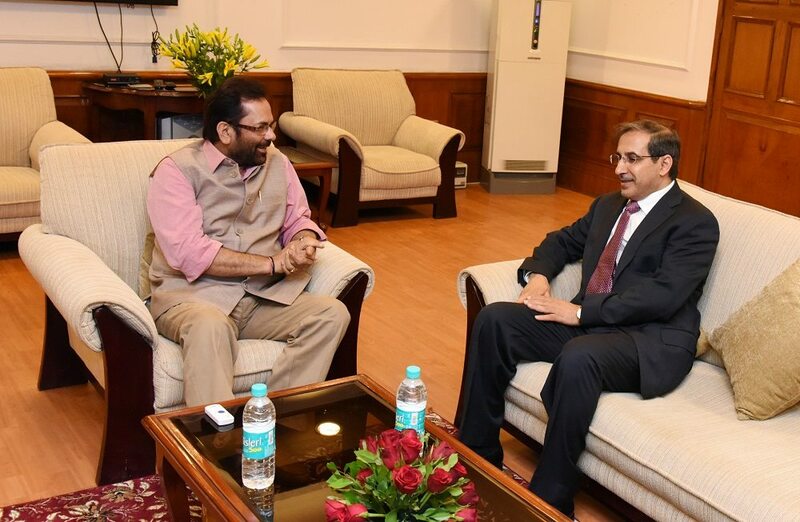 Shri Naqvi said that during the last three years, the Modi Government has moved forward towards strengthening the Indian economy. 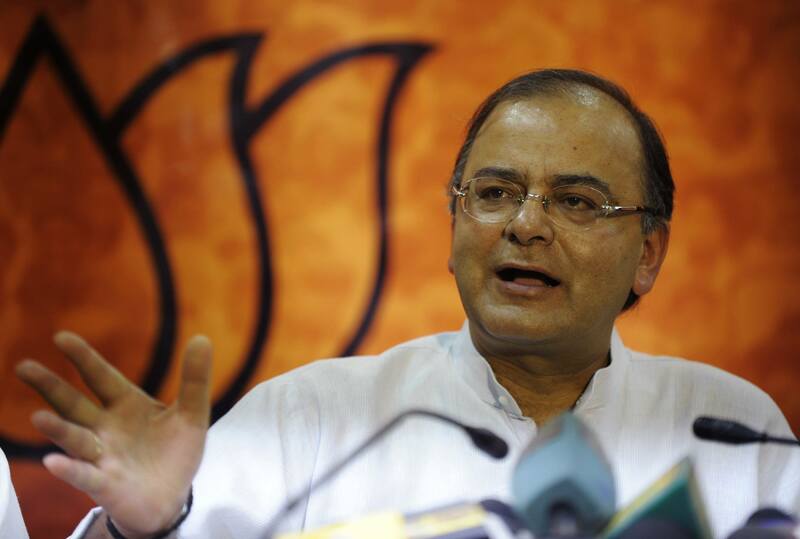 Growth rate has been above 7 percent during the last three years. 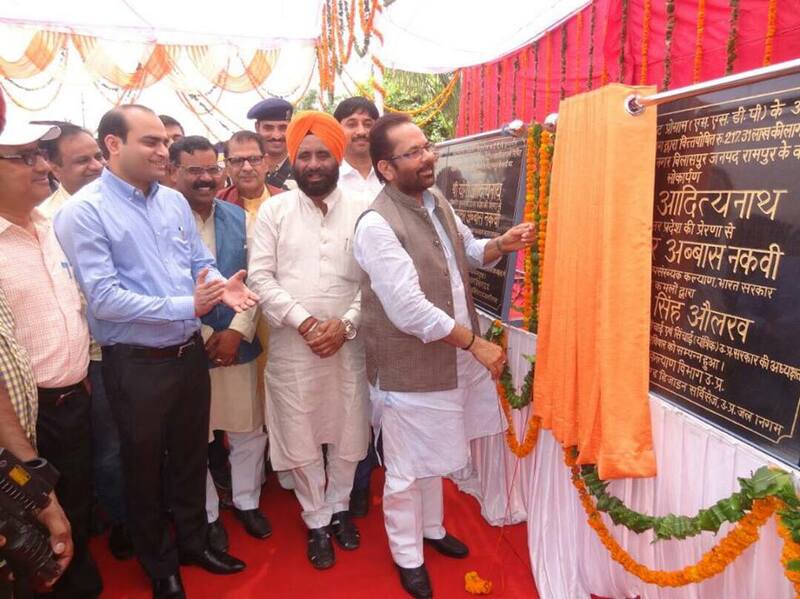 Shri Naqvi said that one of the major and effective steps taken by the Government led by Prime Minister Shri Narendra Modi, include “Demonetisation”. 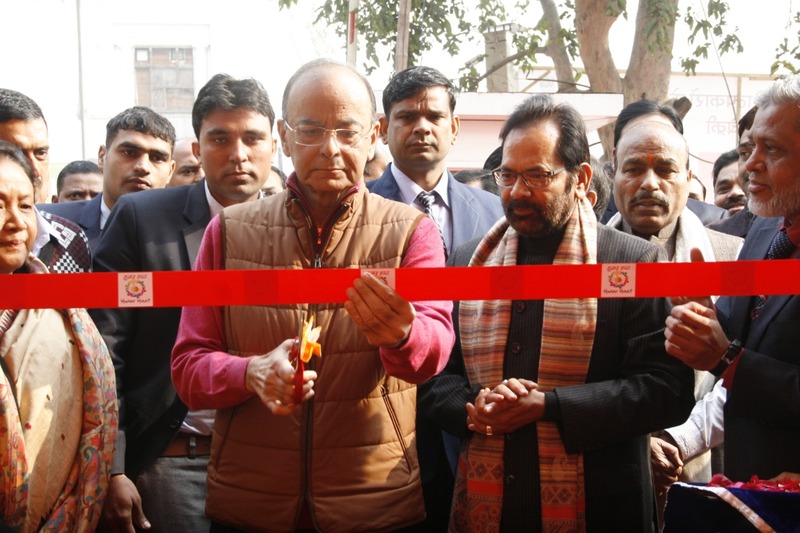 Shri Naqvi said that a bold decision like “Demonetisation” can be taken only by a Prime Minister like Shri Narendra Modi, who believes in “Rashtraniti” (nationalism) and not in “Rajniti” (politics). 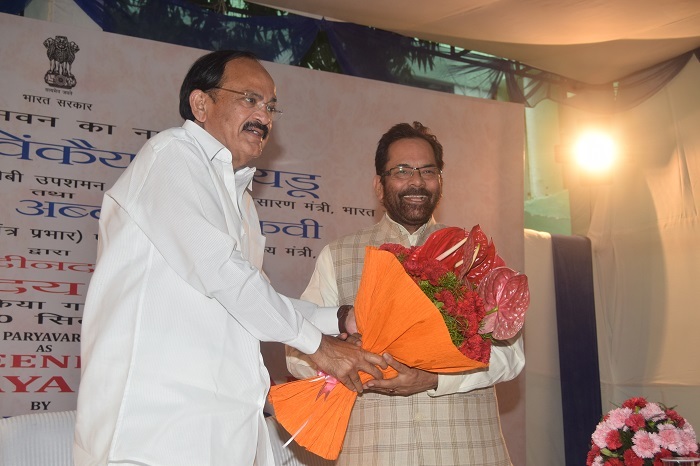 Shri Naqvi said that some political parties and people are trying to paint negative picture of the country and undermining the ground reality. 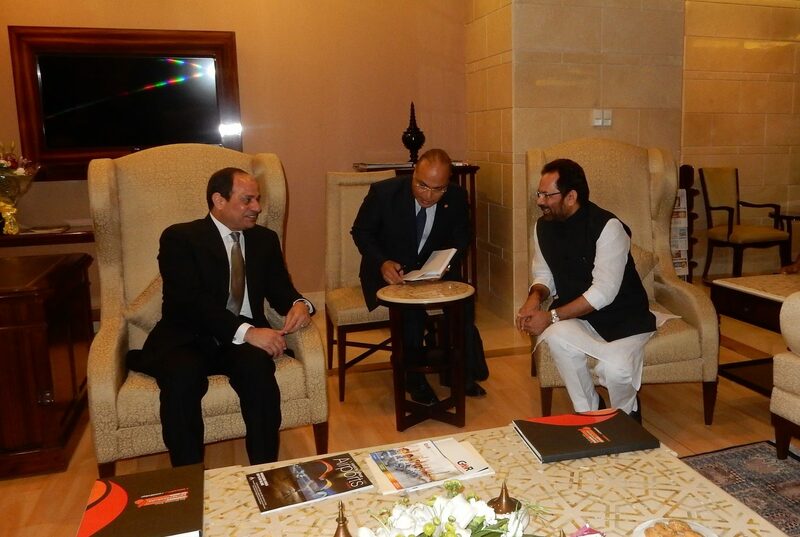 They are engaged in “bashing and blaming”. 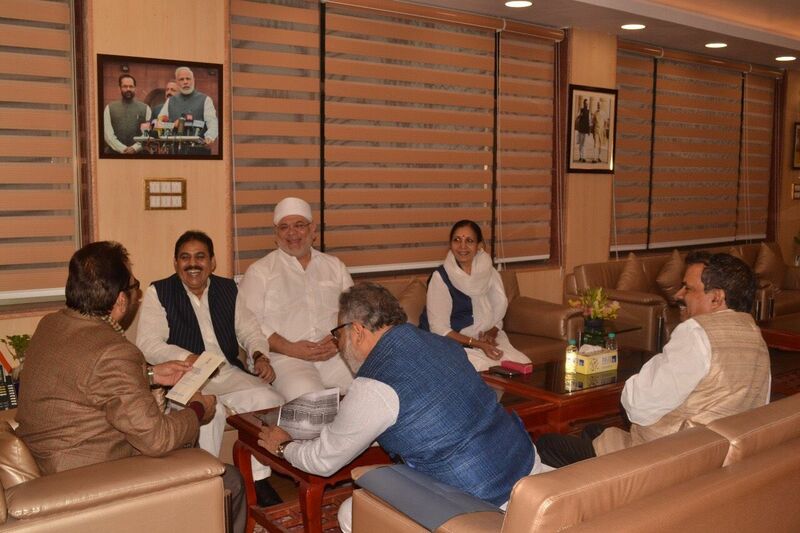 There is a competition going on between those who work and those who are engaged in “bashing and blaming”. 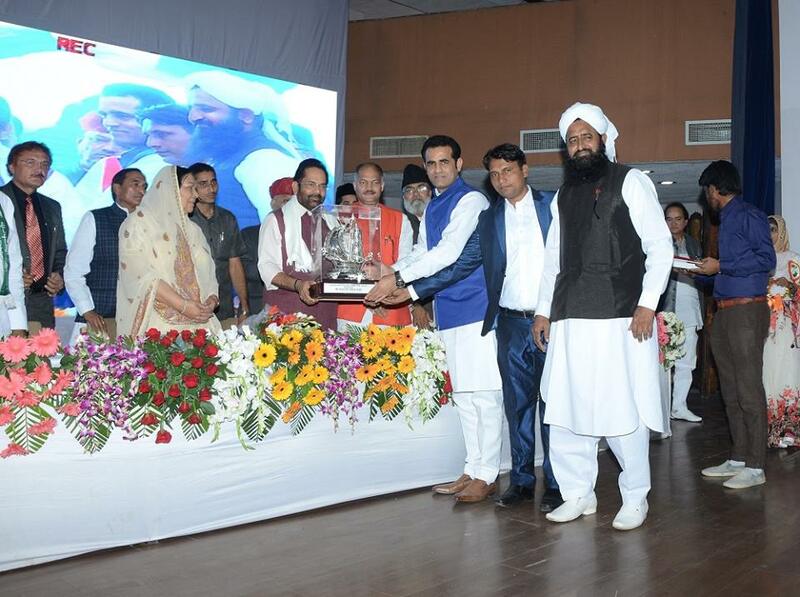 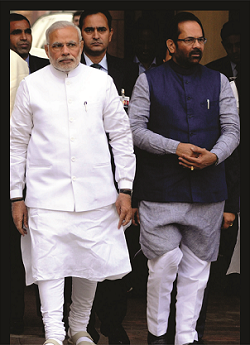 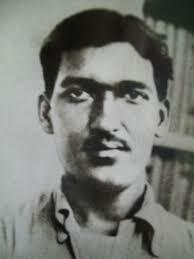 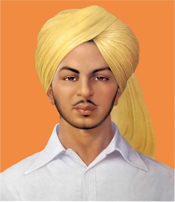 In this competition, those who work for progress of the people will emerge victorious. 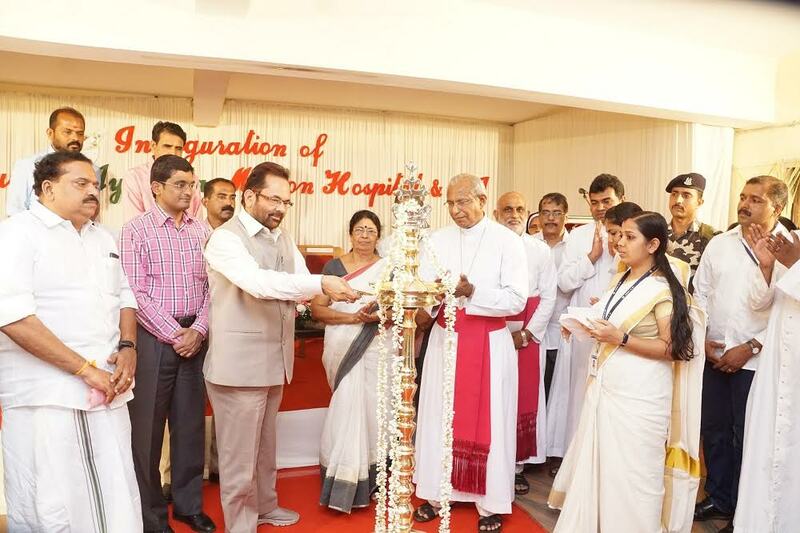 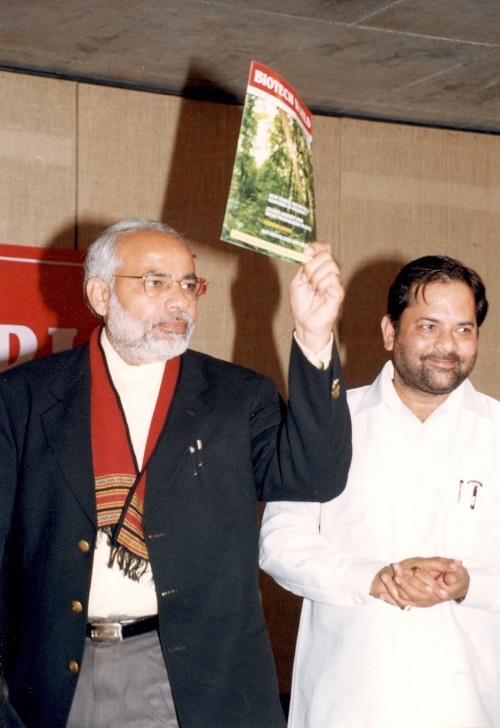 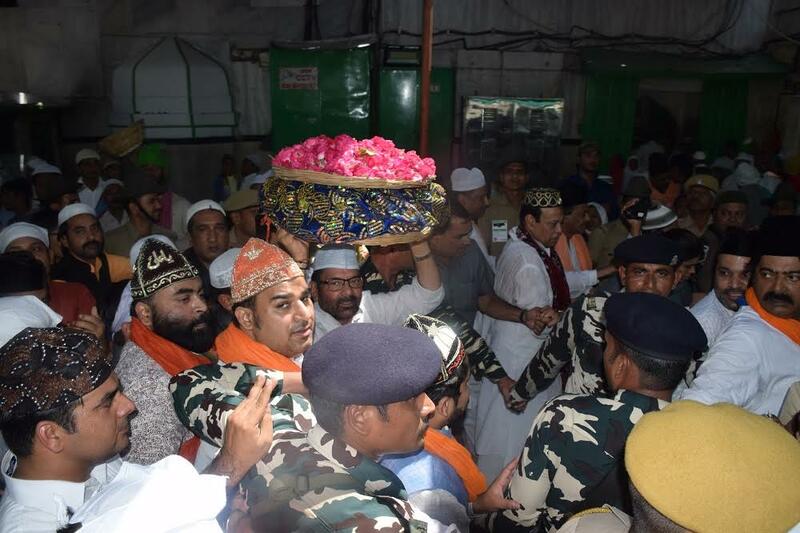 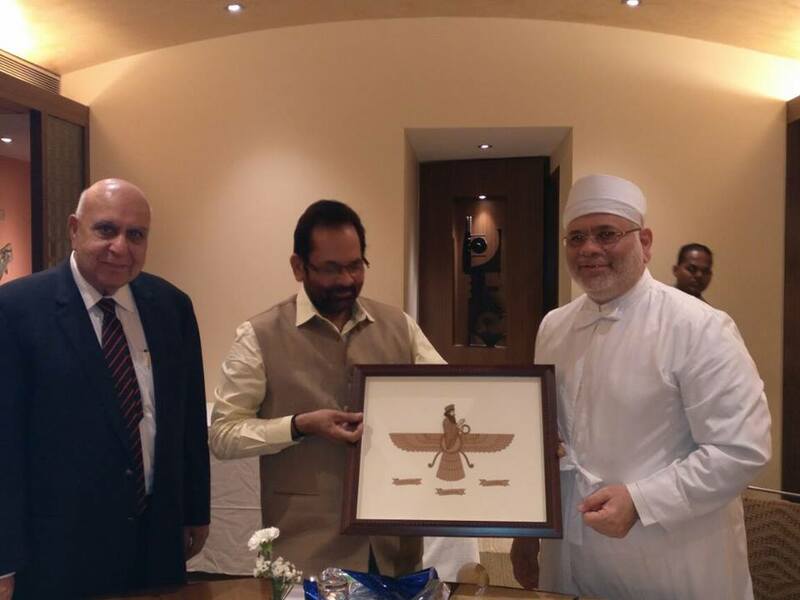 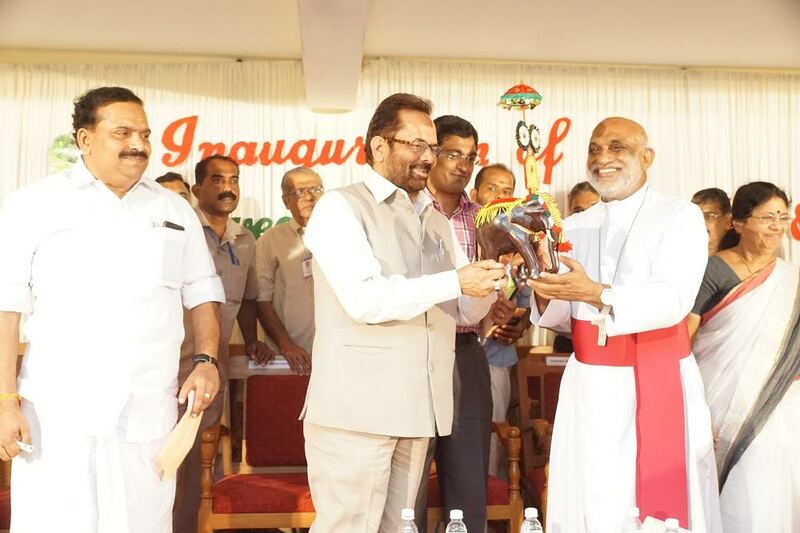 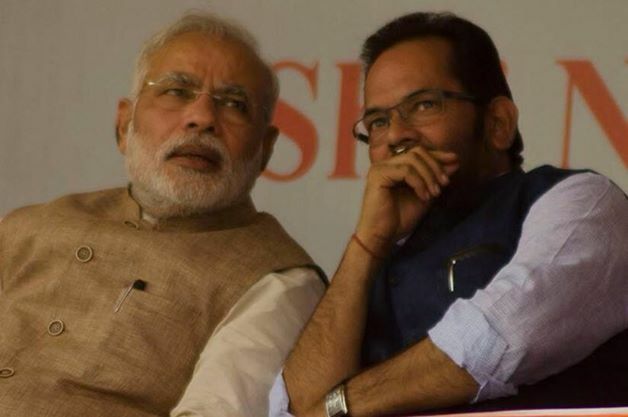 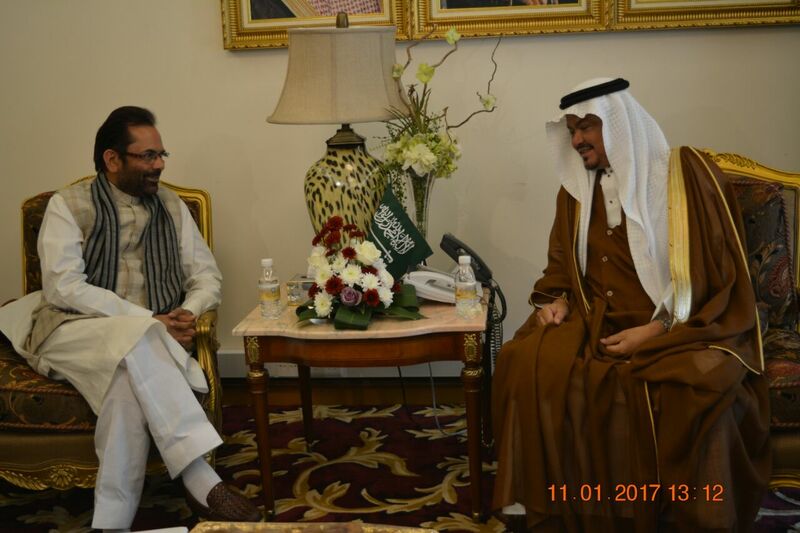 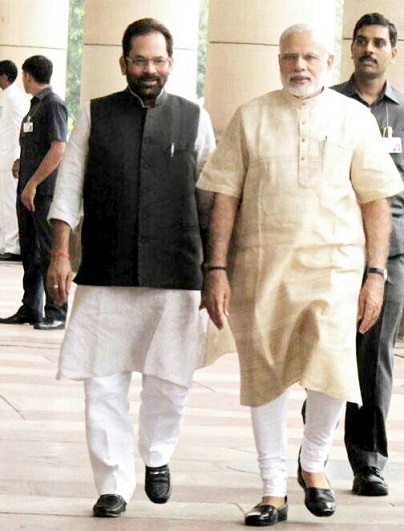 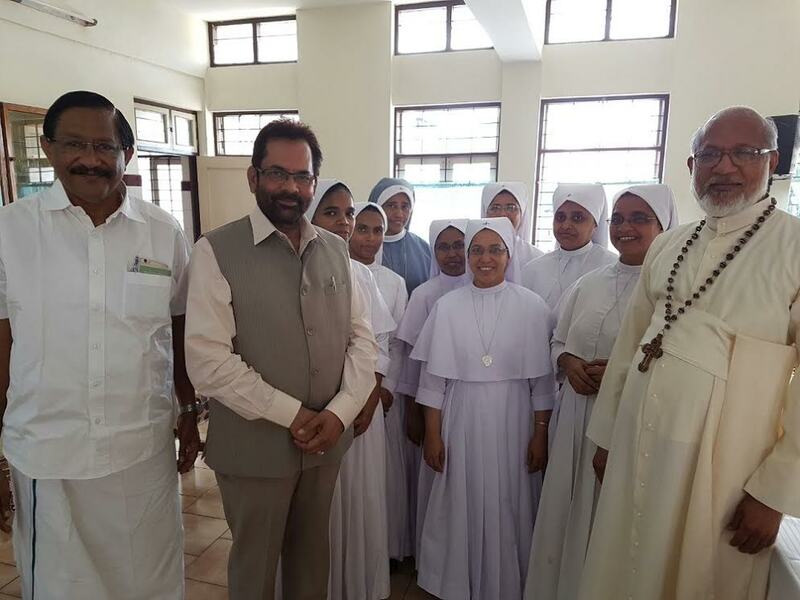 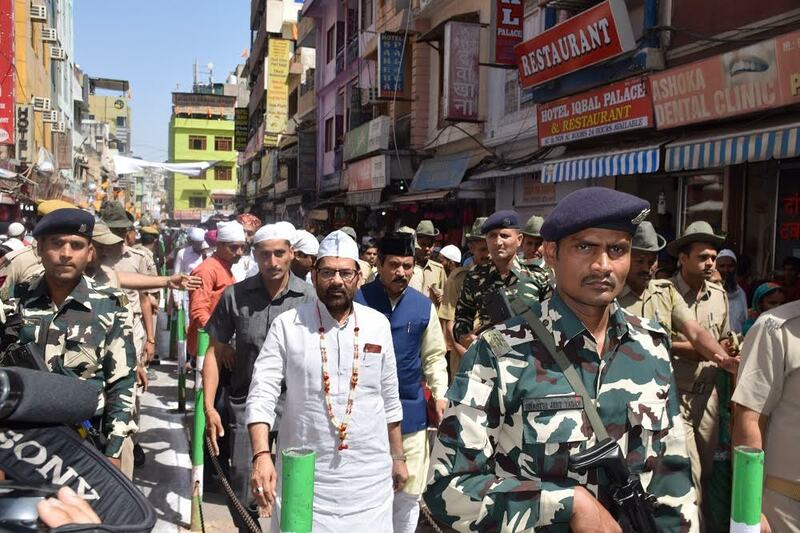 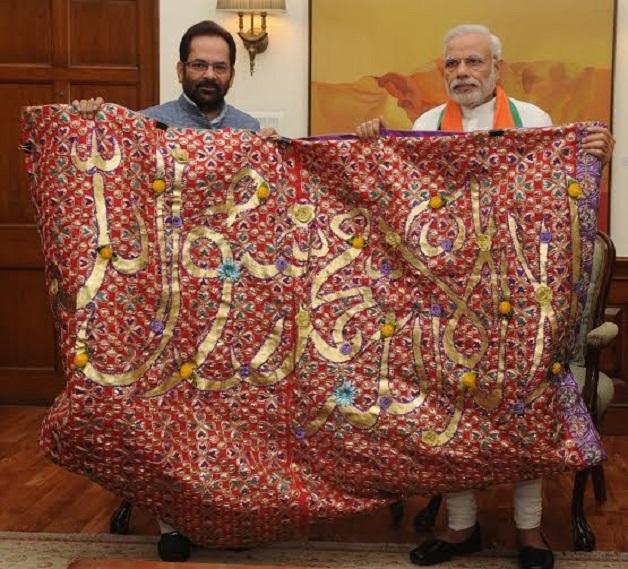 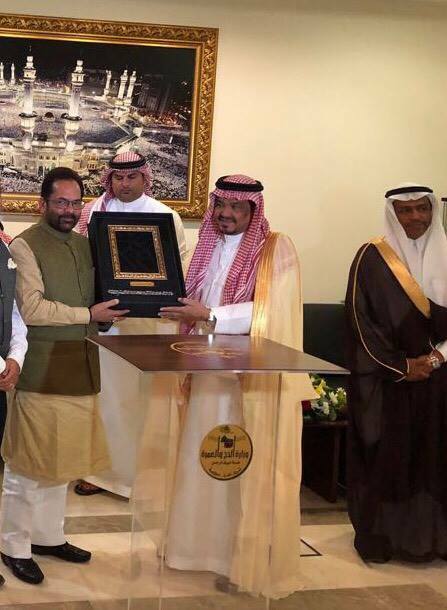 Shri Naqvi said that while on one hand some people consider it as their “right” to blame Prime Minister Shri Narendra Modi for everything, on the other hand, Shri Modi considers to work for the country’s progress as his religion. 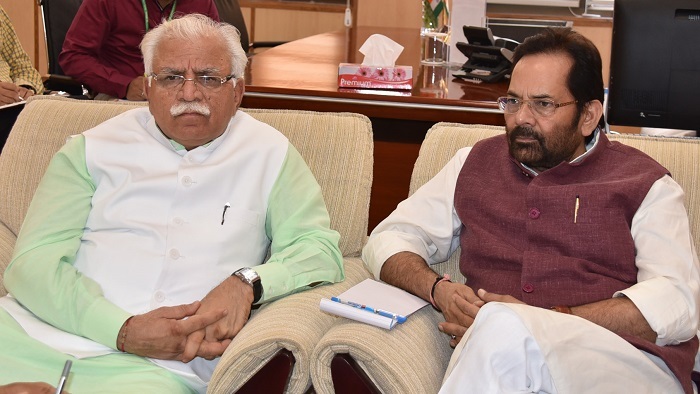 Shri Naqvi said that “blockade of brokers from power corridors of Delhi” and “lockout of loot lobby” has created panic among the “champions of corruption”. 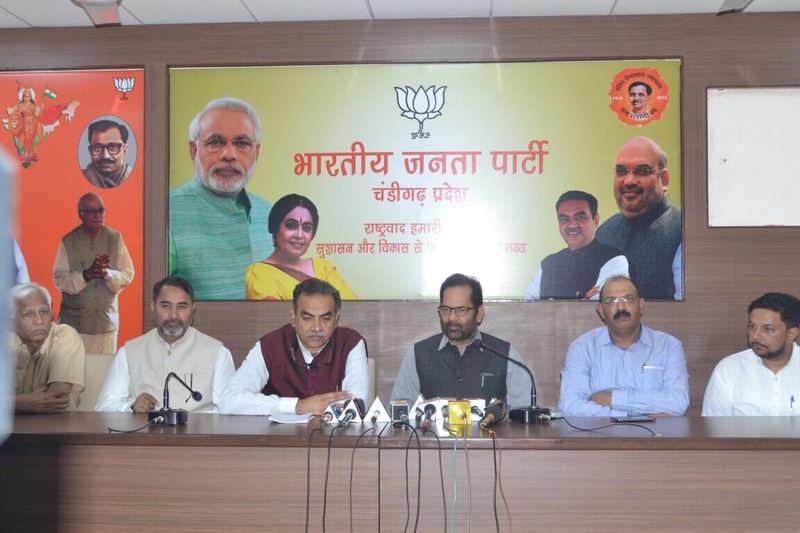 These people are engaged in misinformation campaign against the Modi Government. 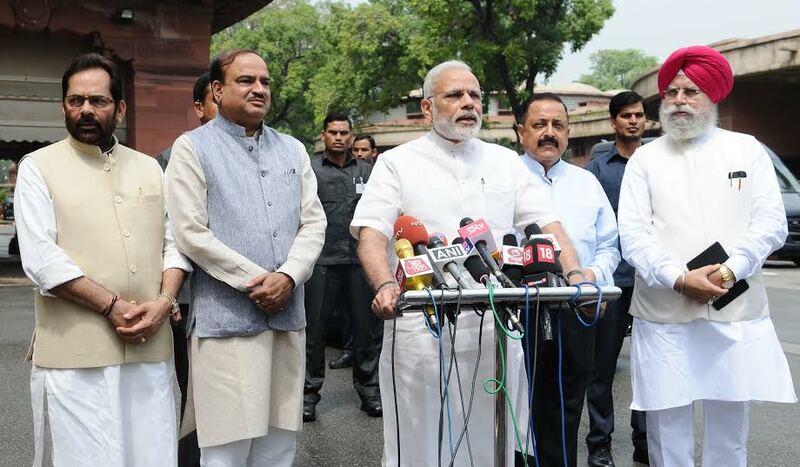 But reality is that the Modi Government has been successful on every front. 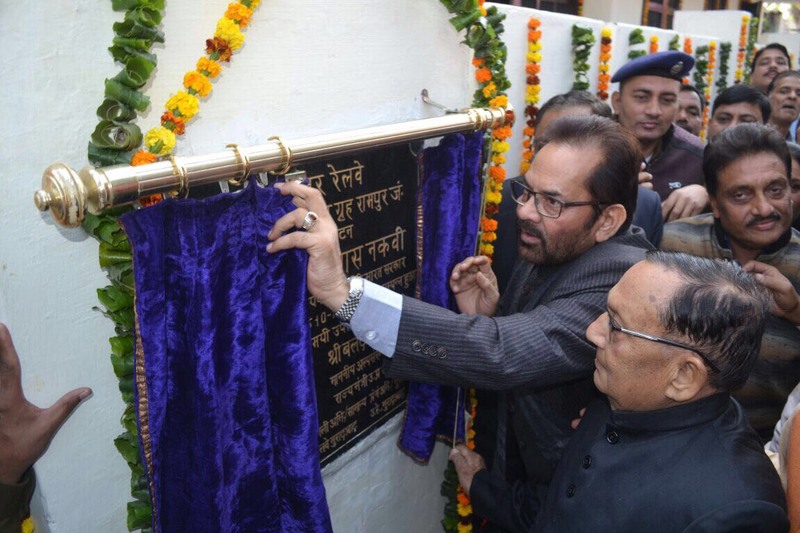 Shri Naqvi said that “Demonetisation” has started giving results. 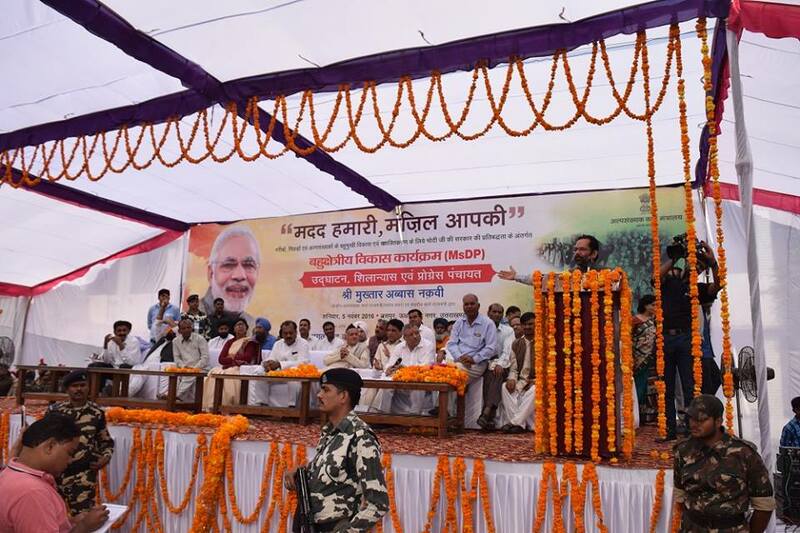 Direct Benefit Transfer has ensured transparency, as money has been given directly into the bank accounts of needy. 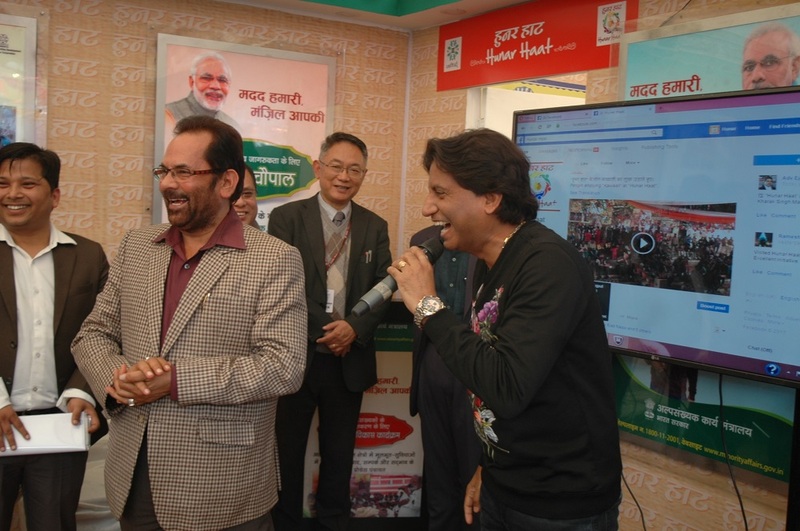 Shri Naqvi explained the people about “Mudra Yojna” and various other schemes such as “Start Up India”, “Stand Up India”. 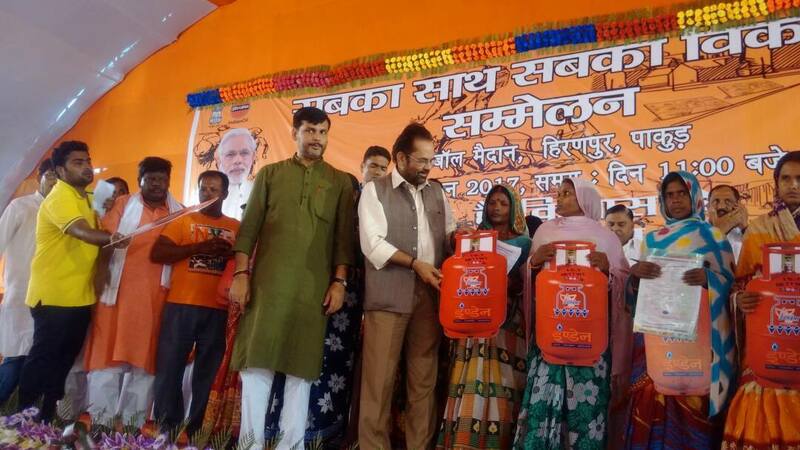 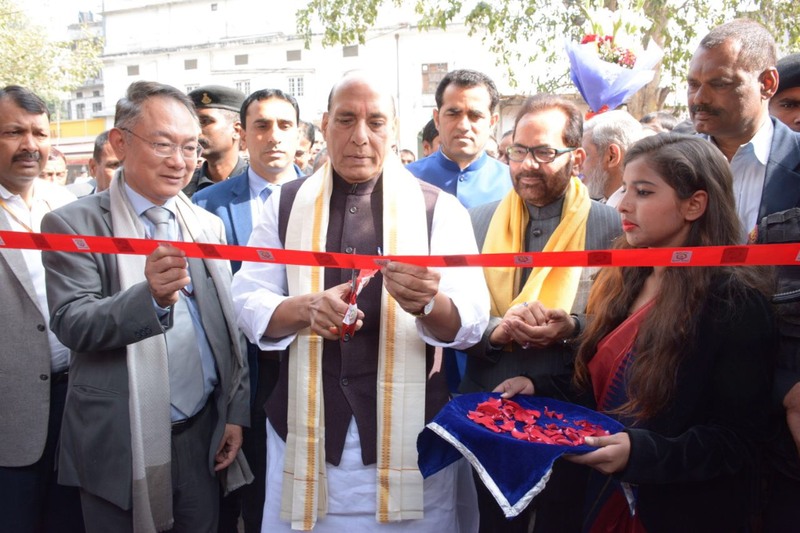 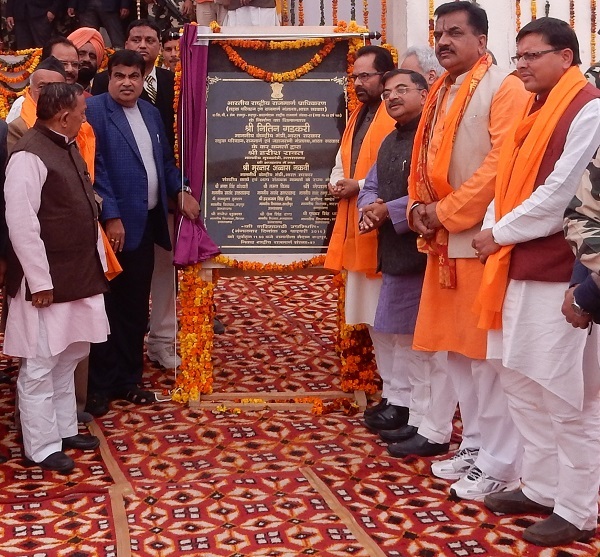 Under the “Mudra” scheme, loan is being given in various category- Up to Rs 50,000 in “Shishu Category”; from Rs 50,000 to Rs 5 lakh under “Kishor Category” and from Rs 5 lakh to Rs 10 lakh under “Tarun Category”.